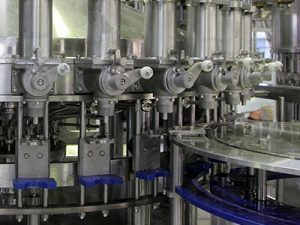 Sports drink filling line is a 3-in-1 filling machine, combined with rinsing, filling and capping. 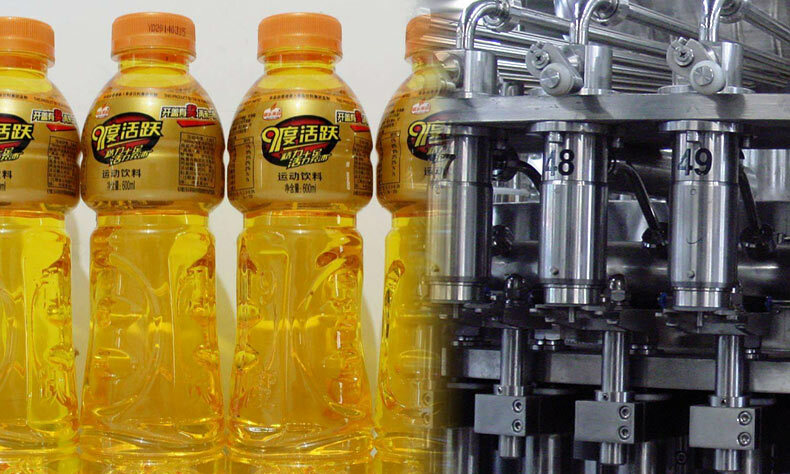 Sports drink production line is innovated and designed in the requirement of still juice, tea, sports drinks, sports beverage on the bases of introducing, digesting and absorbing advanced technology from Germany.ASG Machinery have completed the design and manufacture and installation of a complete set of sports drink filling production line for China’s jianlibao.The current beverage filling machine is stable in China.We are an excellent beverage filling machine manufacturer in China. 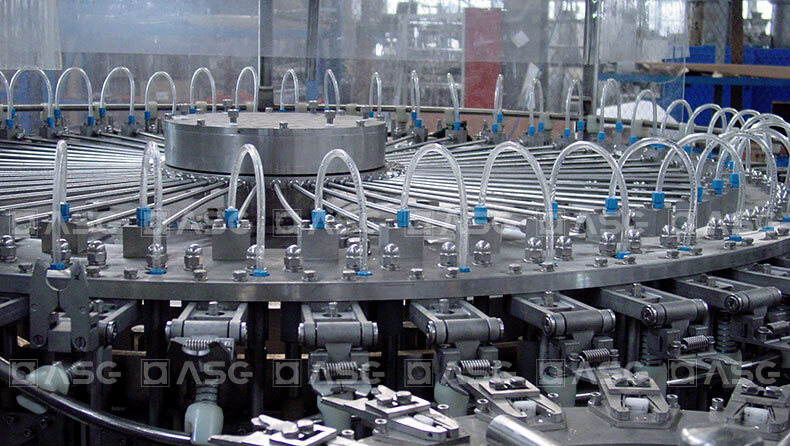 Small Scale Sports Drink Filling Machine Production Line. 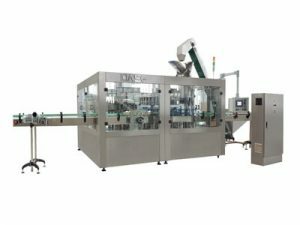 The whoe filling line can fill carbonated drink/soft drinks into PET bottle/Glass bottle with automaticly working, sports drink production line can fill from 300m-2000ml bottle with same cap diameter, the filling machine adopt Isobaric filling type to control the co2 content of water. 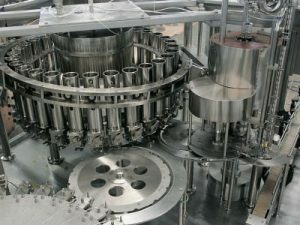 Bottle infeed by combination of infeed starwheels. 1.The rotary wheel is a fully stainless steel welded structure. 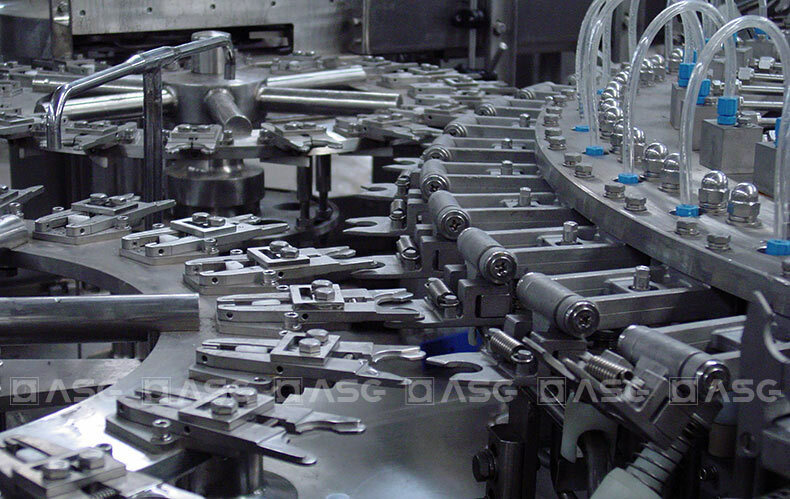 2.The machine applies unique overturning bottle clamp, which is an innovation of our company. This bottle clamp grips bottle at neck position, avoiding bottle mouth thread contamination caused by rubber gripper block of a traditional bottle clamp. Made of SUS304 stainless steel, this bottle clamp is hygienic and durable. 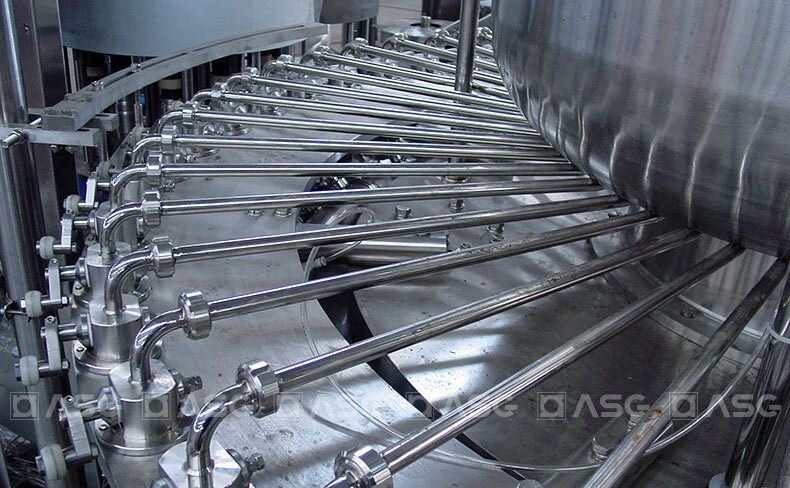 3.The high efficiency atomizing spay nozzle installed on bottle clamp is capable of cleaning any part of bottle inner wall, and also saves rinsing water. 4.All sliding bushes of lifting device use Igus (Germany) anti-corrosion maintenance free bearing. 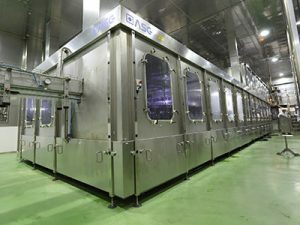 5.The rinser is driven by driving system positioned inside machine frame via gear transmission. 6.Made of stainless steel of superior quality. 7.Equipped with bottle jam protection device. 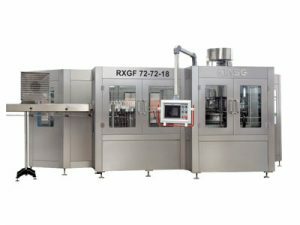 1.It import of advanced technology of screw capping, improve the stability and reliability of the screw capping machine. The magnetic torque is used for screw capping. the power of screw capping can be adjusted without steps. The power of the screw capping can also be fixed, and the caps will not be damaged, the capping is reliable. 2.In the screw capping part. 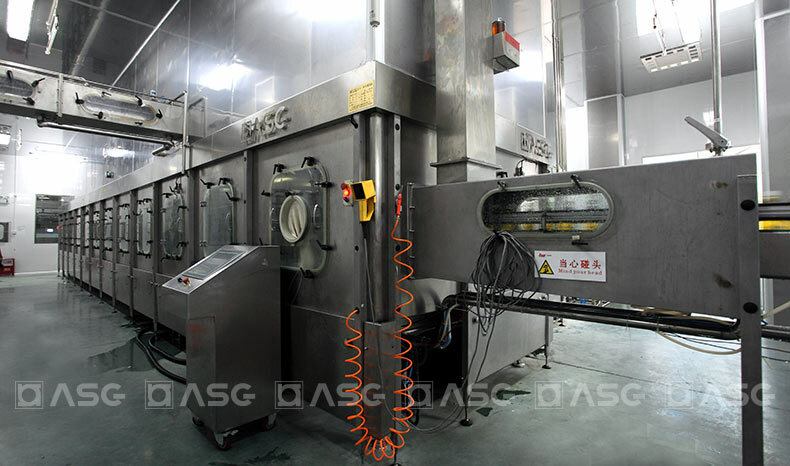 it installed photoelectrical control , when it has no cap ,or the cap is bad, the machine will stop automatically. 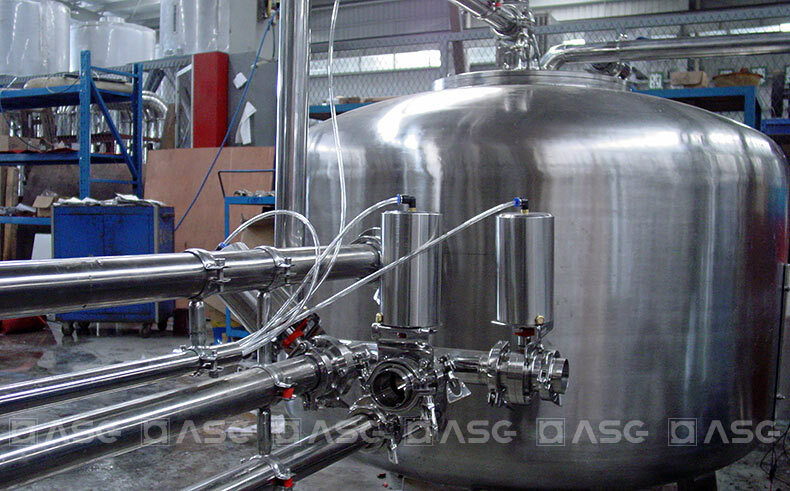 — Includes Raw water tank/raw water pump/silica sand filter/active carbon filter/inhibitor dosing unit/precision filter/RO or Hollow fiber filter/UV Sterilizer/Ozone sterilizer/Ozone tower/Storage water tank/Pipe and Valves. 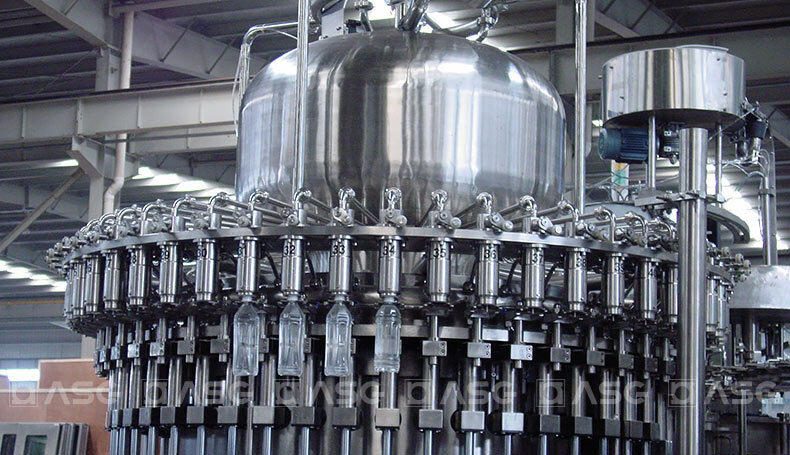 — Used for blow pet prefroms to be empty PET bottle for filling. 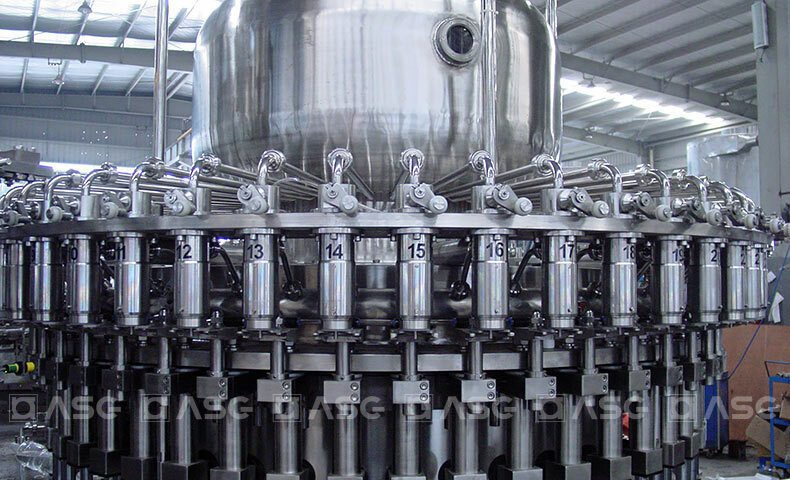 — The machine is used for mixing co2 with syrup/water together, it ‘s necessary machine for making carbonated drinks. The co2 contain gas can reach internation standard. 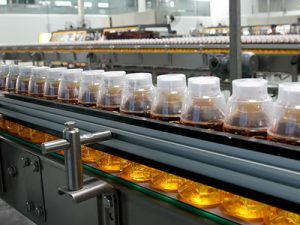 — The system includes many machines to mixing syrup/water/co2 and other additives,each machines connected by SUS pipe to supply mixed carbonated drinks to filling machine for fill. — Main for Shrink PVC labels on bottle by steam.